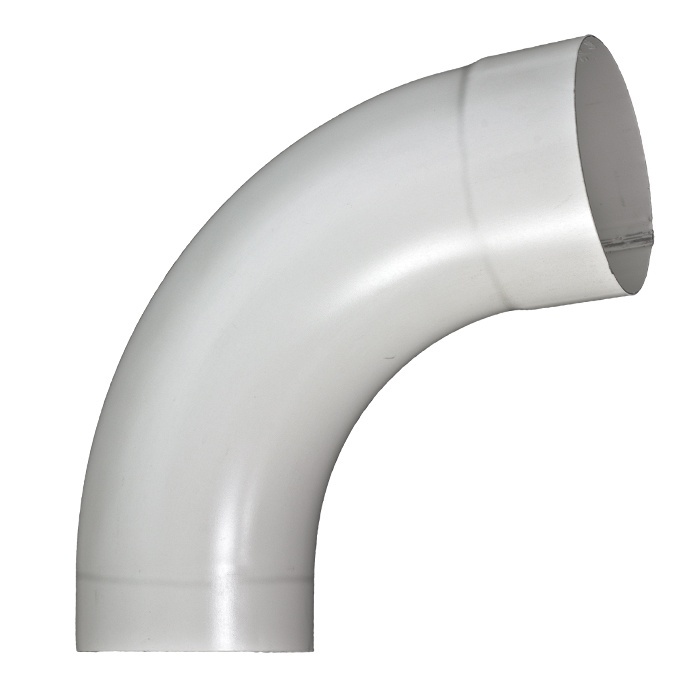 Very strong and durable, our European style smooth round downspout elbows (bends) are produced without any "crimps" in the bend. 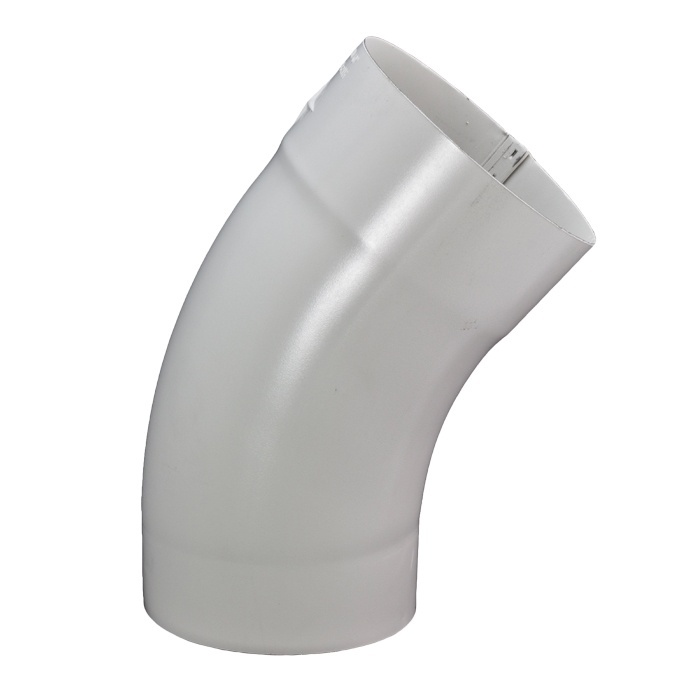 These attractive elbows are produced with angles of: 40 degree, 70 degree, and 85 degrees. Application: Perfect for standard depth overhangs, the 72° bend is recommended for use on eaves with a horizontal depth of 8" to 30". 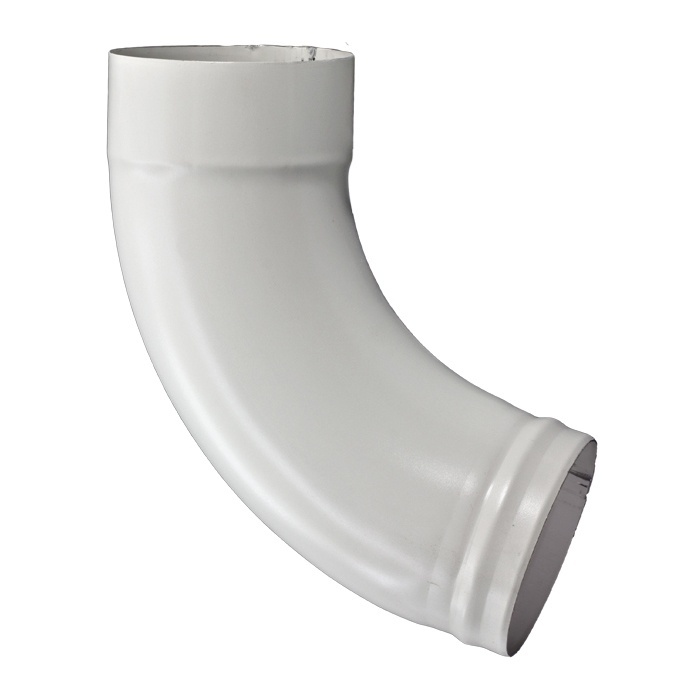 Application: Perfect for large overhangs, the 85° bend is recommended for use on eaves with a horizontal depth of 30" or greater. Application: Perfect for shallow depth overhangs, the 40° bend is recommended for use on eaves with a horizontal depth of 6" to 8". 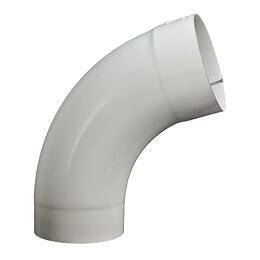 This angle is great for transitioning from a wood wall to a brick or stone base. Application: For ground level use, bead on lower opening provides added strength against damage.